Joan Brown, People and Eye Trees in the Park in Madrid, 1961. Oil on canvas, 72 1/8 x 96 in. The Buck Collection at the UCI Institute and Museum for California Art. © Estate of Joan Brown. 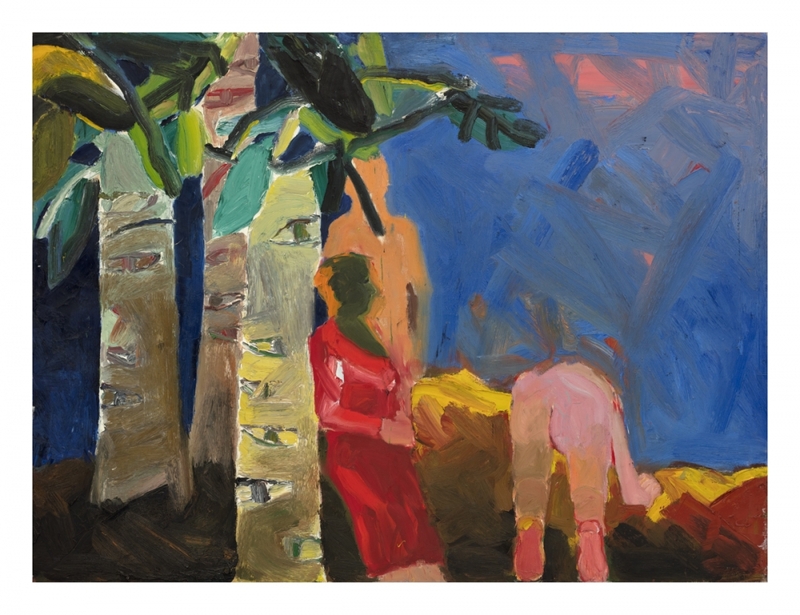 Joan Brown's People and Eye Trees in the Park in Madrid is included in an exhibition at the University Art Gallery at UCI. First Glimpse: Introducing the Buck Collection will offer a preview of the Gerald Buck Collection, acquired in 2013, in anticipation of the construction of UCI Institute and Museum for California Art. This exhibition will be on view through January 5, 2019.